I’ve decided to publish a new chapbook of speculative poetry and microfiction at the end of February, so they’re available for sale at 2010: A Space Oddity. I plan to do a limited, numbered edition of 100, with a mix of three different covers. 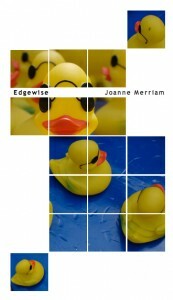 Edgewise will include “The Aviary” (Chiaroscuro, January-March 2008), “The Butterfly Factory” (42 Magazine, Summer 2009), “Deaths on Other Planets” (Asimov’s Science Fiction, April/May 2008 and Concelebratory Shoehorn Review, 1 February 2009), “Evolution” (Mise En Poem, 22 March 2009), “Last Will and Testament” (Chiaroscuro, January-March 2007), “Ribbons. Lightning.” (On Spec, Spring 2004 and Brain Harvest, 12 September 2009), “Spring in Rutherford County” (Dreams and Nightmares, No. 77), “Stolen Lighters” (PicFic, 17 August 2009), “Thirteen Scifaiku for Blackbirds” (Strange Horizons, 12 October 2009), “The Undead in Hospital” (Alba, January 2007), “Venusian Girls are Better” (Coyote Wild, January 2008), “Werepenguin” (Strange Horizons, 10 March 2008), “Work Requirements” (PicFic, 18 August 2009), and six untitled scifaiku (three from Scifaikuest‘s February 2010 print, February 2009 online and February 2009 print editions respectively, and three from Things Japanese in Tennessee, Duthie Learning. September 2008). 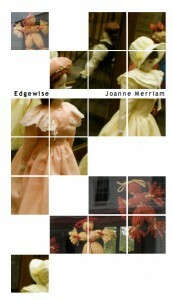 This was written by joannemerriam. Posted on Sunday, January 31, 2010, at 8:24 pm. 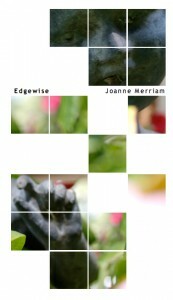 Filed under Fiction, Photos By Me, Poetry. Tagged 2010: A Space Oddity, 42 Magazine, Alba, Asimov's, Brain Harvest, Chiaroscuro, ChiZine, Concelebratory Shoehorn Review, Coyote Wild, Deaths on Other Planets, Dreams and Nightmares, Edgewise, Evolution, Last Will and Testament, Mise En Poem, On Spec, picfic, Ribbons. Lightning., scifaiku, Scifaikuest, Shadowy Men on a Shadowy Planet currency exchange rate, Spring in Rutherford County, Stolen Lighters, Strange Horizons, The Aviary, The Butterfly Factory, The Undead in Hospital, Things Japanese in Tennessee, Thirteen Scifaiku for Blackbirds, Venusian Girls are Better, Werepenguin, Work Requirements. Bookmark the permalink. Follow comments here with the RSS feed. Both comments and trackbacks are currently closed. ‹ I think about the Medicare form that talked about white figures, and I wonder if they were dreaming of Richard.